50 episodes, that’s right folks. We hope you have enjoyed them up to this point. Thanks to all of our fans for keeping listening and enjoying this podcast. In this episode, the hosts talk about their first armies ever and some of their first memories about those armies, deciding to play Warhammer, and those experiences. Added to the mix, the hosts think about things they might have done differently and give advise on what you might be able to use to get new players going. As well, the hosts talk about what has been going on, what they have been working on and upcoming projects and games they want to get to this summer. Recorded from Pegasus Games in Madison, WI our hosts art taking part in a painting day at the store. Joined by friend of the show, the NoisyAssassin himself Dustin, the hosts share what painting projects they have been working on and share some tips that they have learned about the projects. Next the hosts move on to talking about the Pegasus Mordhiem league. Mordhiem is a great game made by Games-Workshop that is set in the Warhammer world historical timeline where a comet hits the city of Mordhiem that is made of Wyrdstone. It is now up to mighty leaders and their intrepid followers, that form warbands, to search the city and overcome challenges from on comers to collect precious wyrdstone, build their own power and followers, and expand their dominance. Finally, the hosts wrap up with a segment on the new Wood Elf book, initial thoughts as the hosts take a look at Conesy’s impulse buy for the day. Make sure you also check out the Kickstarter for Rollable D4s on Kickstarter. While you don’t use the D4 in Warhammer, we know that a lot of our listeners play other games and use the famed D4 in those games. All of us are probably familiar with the little, pyramid shaped dice. If you have ever stepped on one, they would certainly be something to remember. When added that they really don’t roll so much without a hefty toss that there isn’t space for on most game tables, these are perfect for gaming. Check them out and if you back it, let them know that WiscoDice sent ya. Joined by friend and host of the podcast Combat Phase, the hosts are together again to break down the Lizardman army book. Not everything is quite so quiet in the mighty jungle. Find out what the hosts think works and what the hosts think don’t. With plenty of dinosaurs to choose from, you’ll need to sort out which ones to use to thunderstomp your way to victory! No, this isn’t an episode about Wood Elves. Our hosts are joined by friend and one of the hosts of the Combat Phase Podcast Kenny Lull to talk about what it takes to really build and maintain a local Warhammer scene. This has been an ongoing effort for the group here in Madison for the past few years and it feels like it is finally turning the corner. We get together and share some of our thoughts on success. Also, we have a featured game in our Gaming Spotlight. The game is Zombicide, and if you haven’t heard of this zombie horror survival game then make sure you listen to this segment. Not only do we give our thoughts, but we give an overview of the game play and discuss the components. Joined again by local Madison player and friend of the show Davy Calkins, our hosts discuss alternate models and counts as figures as this is starting to become more of a trend in the local Warhammer scene. The thoughts are varied from, is this something needed to stand out in the tournament scene, to is it even ok to do and if you do this what does it take to pull it off. Also, we have a featured game in our Gaming Spotlight. The game is Hanabi and you’ll find out if it’s worth picking up this game as our hosts discuss how to play and what their thoughts are. On top of game discussion, we have a great Cheesecurd question that fits right into our main topic. 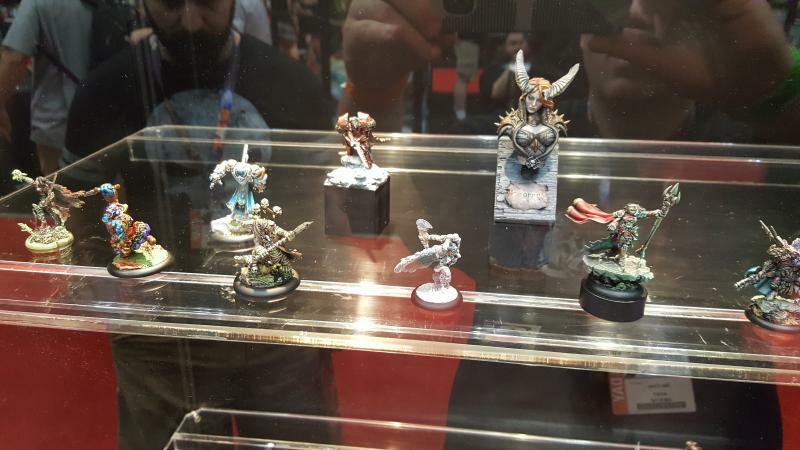 Our intrepid hosts have been playing games, working on models and having a great time with Warhammer lately and sit down to talk about their experiences. Our hosts are joined by newcomer to the Madison Warhammer scene, but long time Warhammer veteran Davy Calkins. On top of game discussion, Davy has been playing the new dwarfs so we have some thoughts on things that he has tried so far and how he has been enjoying them as well as input from our hosts about the army. High off of Waaaghpaca, the gang discusses their participation at Waaaghpaca. On top of this, Triumph and Treachery is given a bit of a review and some in game experiences are discussed. On top of that, special guest Kenny from the Combat Phase Podcast joins as well as old host Paul Wagner to add to the in studio chaos. 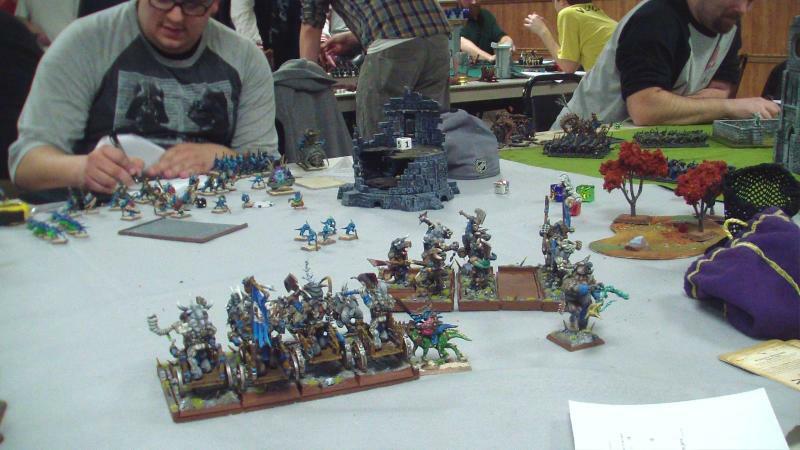 This, bit delayed episode, is our year end wrap up show for 2013 as we discuss our plans for Waaaghpaca and some of our favorite games and moments from the year. On top of that, special guest Kenny from the Combat Phase Podcast joins us via Skype to help us discuss our Merry Mayhem impressions and games. Coming off 3 weeks of hot hobby and gaming craziness, the hosts are able to get together and talk about one of the events they were at recently, Game Hole Con. Game Hole Con is a new gaming convention located here in Madison WI and the hosts discuss their experiences and highlights from the event. On top of that, special guest Kenny from the Combat Phase Podcast and Dustin are in studio and help the hosts elaborate on not only Game Hole Con but also dig into the mechanics and structure of mega battles. 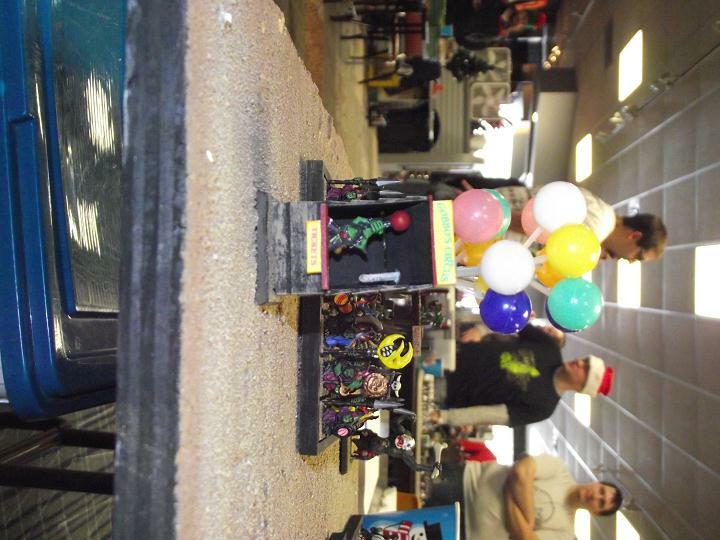 Listen to find out all about mega-battles, the convention and the big game that occurred at Game Hole Con.